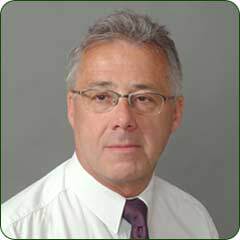 Hi my name is Michael, I am a freelance carpet fitter in London specialising in carrying out the small to medium sized carpet fitting, as well as carpet repair and carpet alteration jobs that most London based carpet fitters can’t be bothered with. I fit and repair carpets on different days of the week in all parts of Central, North, South and West London out as far as the M25 and beyond. To reduce traveling time and costs I usually group carpet fitting jobs from the same part of London together to be carried out on the same day. 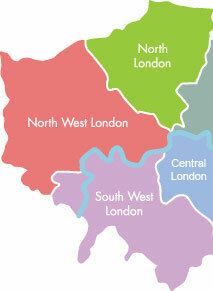 For example South London carpet fitting jobs one day, North London carpet fitting jobs another day and so on. This means that if you are not in a hurry, even very small carpet repair or carpet alteration jobs can be carried out at reasonable cost anywhere in the area shown on the map. Now in my mid fifties and with my sixties looming, I am slowing down. I am no longer as interested in large scale carpet fitting work as I was when I was in my twenties and thirties. Carpet Fitter London Areas Instead I prefer to concentrate on small to medium sized domestic carpet fitting / carpet laying jobs that require less physical effort. I suppose that really you could think of me nowadays as being a sort of ‘Carpet Odd Job Man’. Happy to carry out small bits and pieces of carpet re-laying, carpet repair and carpet alteration work throughout London. 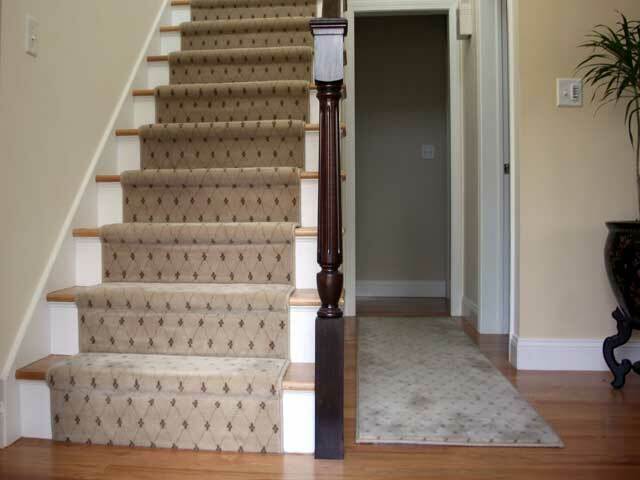 You might want to take up a carpet from one room and re-lay it into another room or onto a flight of stairs. Maybe you have had the builders in and you need a carpet fitter to re-install the carpets which they took up. I have a separate page about this with photos of previous jobs, please have a look at re-fitting used carpets. If you have had new fitted furniture installed into a bedroom or study then it is likely that you will have been left with the carpets and underlay rolled back. I can help if you are searching for an independent carpet fitter to cut and re-lay it for you. Worn stair treads. Many customers will have carpet fitted onto a flight of stairs that has plenty of wear left in it except for one or two individual worn steps, often near the bottom of the flight. If you have any off-cuts left or any spare carpet at all, then I can usually use these to replace the worn treads and extend the life of the stair carpet. I have many (Too many!) years experience as a carpet fitter/layer of fixing and repairing carpets in all of the West, South, Central and North London areas. 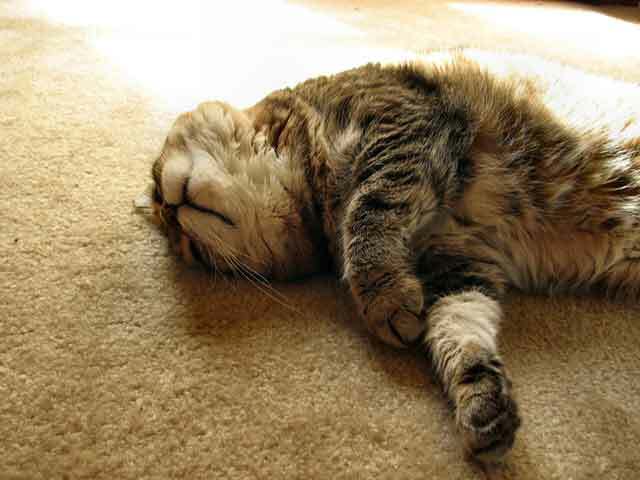 Carpets that are worn or have been damaged for one reason or another. For example iron burns, pet damage, end of tenancy carpet repairs, wine, tea / coffee stains and so on. You name it, carpet wise I’ve fixed it. My carpet repair page has more information on this and many other types of repairs with plenty of photos of past carpet repair work that I have carried out over the years for you to take a look at carpet repairs. If your carpets are loose, baggy, wrinkled and ‘ Wavy’ then they will need to be taken up, re- stretched, tightened, trimmed and re-laid. If this is your problem then my carpet stretching page is the one to look at. If you are, then I can fit them for you. Many Londoners are doing this now and are making big savings in the process. Typically about 30%-40% of the high street prices for fitted carpets when all is said and done. I do not charge VAT. This is perfectly legal as my turnover is below the VAT registration threshold, which means a 20% saving for you compared to a quote from a VAT registered company. If you want to speak to a man, not a machine call me. Unless I am driving I will very probably answer the phone. For carpet fitting / repair work in the London area I can usually give you an estimate over the phone. If that sounds about right to you, then I am happy to visit your home to confirm the price before starting work and if agreed get on with the job there and then. No need for a second visit! If the price I have quoted you is more than you had in mind then I will smile politely and go away! No pressure / No Charge. 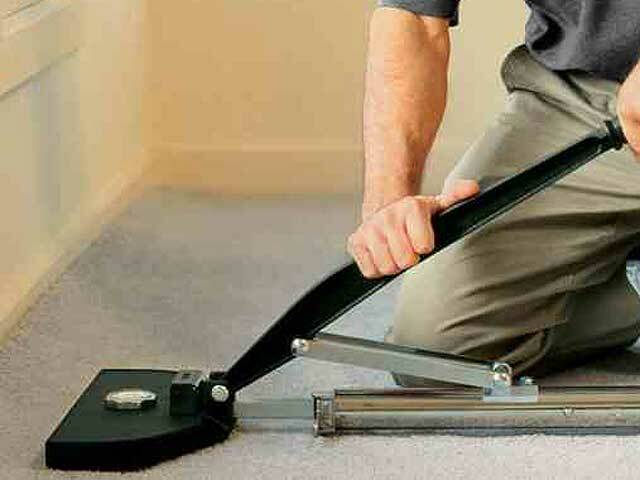 Like most carpet fitters, I carry underlay, door bars and carpet gripper with me which I can supply at reasonable cost should they be found to be needed. I employ no staff or sub-contractors. If you chose to use me for your carpet fitting work, It will be me that answers the phone. It will be me that replies to emails. It will be me that rings your door bell and it will be me that will carry out your carpet fitting work. So whether you need to have a new carpet fitted in South London, a second hand carpet moved or re-used in North London, a loose carpet stretched in West London, or perhaps just a small carpet repair to a damaged carpet in Central London then please feel free to give me a call any time between 9 am and 9pm weekends included.